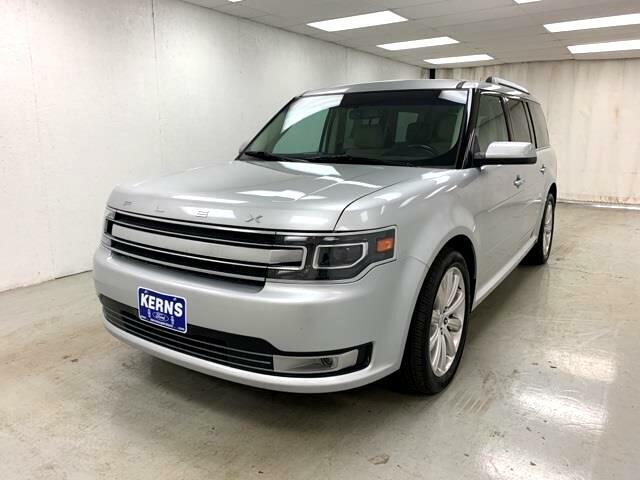 2018 FORD FLEX..LIMITED PACKAGE..LOADED..LEATHER HEATED SEATS..3RD ROW SEATING..NAVIGATION..20" POLISHED WHEELS..REMOTE START..REAR CAMERA..TRAILER TOW PACKAGE..POWER LIFTGATE..WARRANTY..FULL POWER..115 POINT SERVICE COMPLETED..CALL Price! Flex LIMITED, 4D Sport Utility, AWD, Dune w/Leather-Trimmed Heated Bucket Seats, 20" Polished Aluminum Wheels, 3rd row seats: split-bench, Class III Trailer Tow Package, Engine Oil Cooler, Equipment Group 300A, Heated front seats, Monochromatic Roof, Navigation System, Perforated Leather-Trimmed Bucket Seats, Power Liftgate, Voice-Activated Touchscreen Navigation System.Priced below KBB Fair Purchase Price! At Kerns Ford Lincoln & Truck Center, whether you've got great credit or bruised credit, we have the car / truck / SUV / van for you. We believe in Live Market Pricing to ensure our prices are very competitive and minimize the back and forth negotiations that most shoppers aren't big fans of. Give us an opportunity to earn your business -- you'll be glad you did!Odometer is 8636 miles below market average!Have you Experienced the KERNS COMMITMENT? CALL, EMAIL or STOP-IN Today and see why we are Auglaize and Mercer counties #1 Volume Used Dealer. 2 Great Locations in ST. MARYS and CELINA to serve you. 1-888-367-3856.